A win over Pitt is always good. 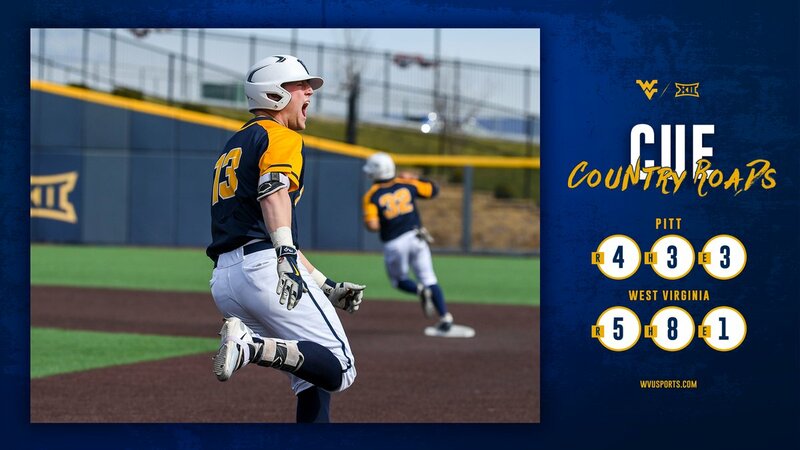 WVU defeats Pitt by a final score of 5-4 in the season’s first edition of the baseball Backyard Brawl. The win takes the West Virginia lead in the all-time series to 108-88, including five in a row. WVU took the lead in the eighth inning on a sac fly by Kevin Brophy that scored Darius Hill. Mountaineers take the lead❗️❗️ Kevin Brophy scores Darius Hill with a sac fly to right. On to the 9th, WVU leads the Backyard Brawl 5-4!! The game set an attendance record. There were 3,487 fans in attendance. WVU football running backs coach Chad Scott was in attendance for the game. Not only was he at the game, but he was in full uniform and ready to pinch run if need be. Here he is with the Mountaineer, Trevor Kiess.
.@CoachMazey I know you didn’t need me, but I was ready to pinch run at anytime!